With the clock ticking and his family in danger, Damien weighs an offer from the killer. A rescue mission takes an unexpected turn. 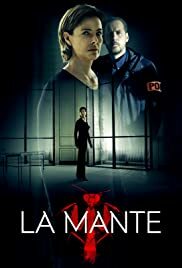 The Mantis makes her next move, Achille finds a crucial clue linking the victims, and Damien pays a visit to his mother's psychiatrist. As a furious Damien tries to figure out what his mother is up to, a clue found on Séverin's computer leads the team to the next potential victim. How many episodes of La Mante have you seen? Netflix recommended this because I liked Le Chalet, and they do have elements in common. Slow burner with good characterisation and a few twists. A slightly offbeat police drama, which stretches credulity more than slightly. Nethertheless, recommended, especially for Francophiles.